“Until Fulani Emirs are toppled, Northern Nigeria will never know peace” …. Aminu Kano. 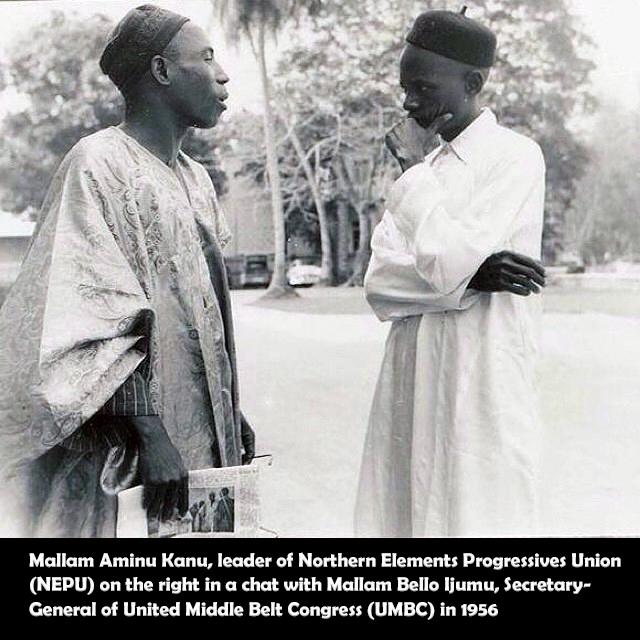 “That the shocking state of social order as at present existing in Northern Nigeria is due to nothing but the Fulani’s Family Compact rule of the so-called Native Administrations in their present autocratic form.” – Aminu Kano. 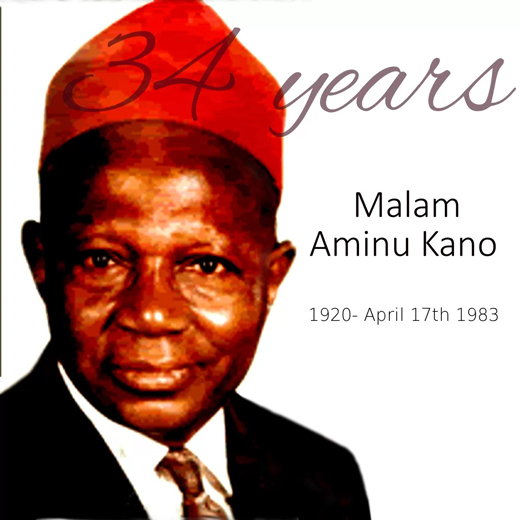 “That owing to this unscrupulous and vicious system of Administration by the Fulani’s Family Compact rulers, there is today in our Society an antagonism of interests manifesting itself as a class struggle, between the members of the vicious circle of the Native Administration on the one hand and the ordinary “talakawa” on the other.” – Aminu Kano. 1. Kebbi State: Total population is 3.6 million. As of today, Hausa is estimated to number 3.1 million. Saidu Usman Nassamu Dakinsari, the governor, is Fulani. 2. Sokoto State: Total population is 4.3 million. As of today, Hausa is estimated to number 3.9 million. Aliyu Wamakko, the governor, is Fulani. 3. Zamfara State: Total population is 3.6 million. As of today, Hausa is estimated to number 3.0 million. Abdula’aziz Abubakar Yari, the governor, is Fulani. 4. Kaduna State: Total population is 6.1 million. As of today, Hausa is estimated to number 5.8 million. Mukhtar Yero, the governor, is Fulani. 5. Kano State: Total population is 9.3 million. As of today, Hausa is estimated to number 9.1 million. Rabi’u Musa Kwakwaso, the governor, is Fulani. 6. Kastina State: Total population is 6.4 million. As of today, Hausa is estimated to number 5.9 million. Ibrahim Shema, the governor is Fulani. 7. Jigawa State: Total population is 4.9 million. As of today, Hausa is estimated to number 4.8 million. Sule Lamido, the governor, is Fulani. The Fulani, through their version of violence Islam, have succeeded in taking over both the political and economic control and command of the Hausaland. They have ensured Hausa children lack access to qualitative education. A recent survey of Northwest Nigeria shows that for every 10 university graduates, all 10 are Fulani. Of the 100 secondary school leavers, polled, only 8 are Hausa, the rest are Fulani. Almajiri is a deliberate policy of the Fulani to keep the Hausa in perpetual misery. We must open up the mind of the Hausa to take over the command and control of the political and economic sphere of their region. The best means of stopping Boko Haram is to tell Hausa to confront Fulani for elective posts. The Northwest belongs to them. They must take it back politically. They have got the numbers. 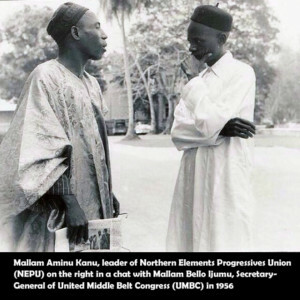 Mallam Aminu Kano, an Hausa man, was considered to be friend of the Northern minorities because he organized his fellow Hausa kinsmen against the Fulani aristocracy which had used Islamic jihad to subdue and overwhelm the Hausa kingdoms that had controlled Nigeria’s Far North until two centuries ago. Sheikh Othman Dan Fodio, an immigrant Fulani from Mali, was the Islamic cleric who inspired and led the jihad that successfully overran most of today’s Northern Nigeria in early 19th Century AD through military conquest. Indigenous Hausa kings were toppled, killed and Fulani emirs were installed to replace them. All emirates of the North and elsewhere in the Middle Belt, for past two centuries, have been ruled by Fulani-controlled hereditary monarchy since then. How 9% Fulanis Conquered Hausas, Continued To Dominate Other 91% Of The Country. © Copyright © 2017 GoViral Nigeria. All rights reserved. Information is power, please inform others share this article!